The team is now 3-3 in the ACC after two complete weekend conference series. The team moves to 20-10 on the season. 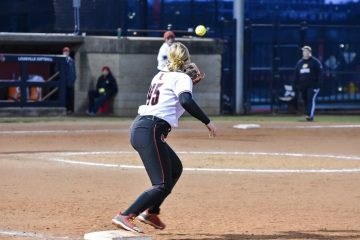 Sophomore pitcher, Danielle Watson (6-7), was in the circle for Louisville in Saturday’s two losses and made an appearance in relief of Megan Hensley (8-1) in Sunday’s win. 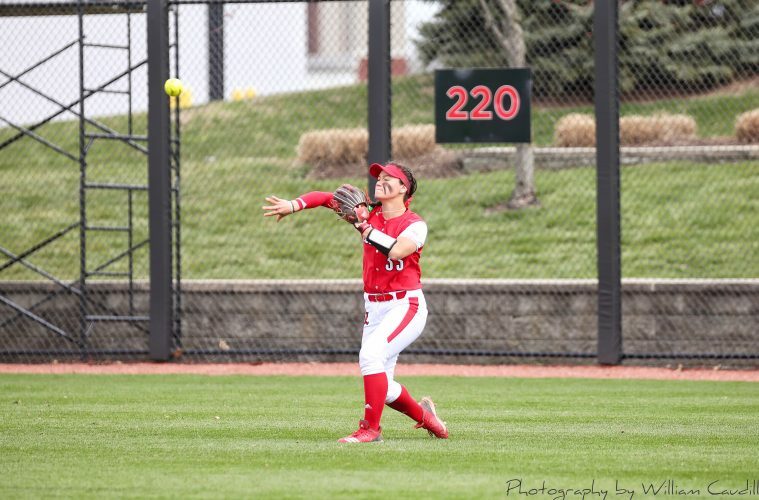 Earlier in the week, freshman catcher Rebecca Chung was named ACC Co-Player of the week for leading the Cardinals at the plate as the team compiled a 4-1 record on the week. She batted .615 (8-for-13) with a double, a run and seven RBIs and posted a .600 on-base percentage. She had at least one hit in every game, extending her hitting streak to nine games and her on-base streak to 10. Chung also collected RBIs in three of five games, including a pair of three-RBI performances – one in the 21-1 win over Morehead State on Tuesday and again in the 8-0 win over Syracuse to clinch the ACC series on Saturday. She shared the weekly honor with ND’s Cait Brooks… she helped Notre Dame surge through a 7-2 Spring Break week record with four home runs, six runs batted in and 18 total bases and a huge win over FSU in the series. ND leads the all-time series 21-16, sweeping the Cards in last year’s series at Ulmer Stadium. The Irish scored 3 in the bottom of the 1st inning, 2 in bottom of 2nd & 6th ultimately plating 9 runs on 9 hits needing only 6 innings to take the victory in the series opening game. Megan Hensley reached base in all 3 of her plate appearances. 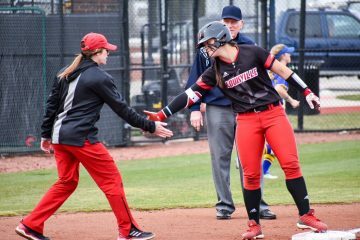 The lone run for the Cards was registered in the top of the 2nd when Chung drew a walk and was lifted for pinch runner Jordyn Wolfe. After freshman Taylor Roby reached safely on an infield hit, a double steal pushed both runners into scoring position and an error on the play sent Wolfe home to make the score 3-1. But it was all Irish after that, the Cards totaled 3 defensive errors in the game. In the second game of the day, the Irish took a 1-0 lead in the first and the Cards managed to tie it up 1-1 in the top of the 5th when Kyra Snyder earned a walk, Watson reached on an error and Newman’s single loaded the bases for junior Celene Funke’s whose fielder’s choice saw Snyder safe at the plate. The Irish capitalized with an 8 run bottom of the same inning on five hits, two walks and a hit batter to take a 9-1 lead for good. Watson took the loss. After losing day 1 to the Irish by a total score of 18-2, the Cards looked to close out the series on a positive note and avoid the sweep. They were able to do so with Hensley in the circle for UofL. She gave up three earned runs on five hits and striking out two in 5.1 innings. She also registered one of Louisville’s eight hits in the game. 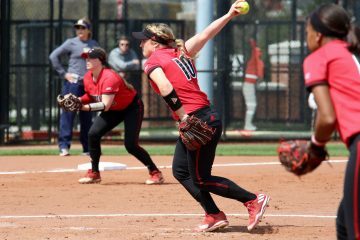 The Cards jumped out to a 4-0 lead in this one, facing the Irish’s sophomore pitcher, Alexis Halloway, who they faced Day 1 Game 2 where they connected on just 2 hits. 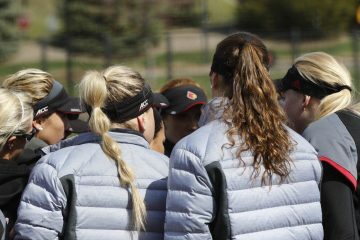 Caitlin Ferguson had two hits, scored twice and a registered pair of stolen bases and Kyra Snyder collected two RBIs to help lead the Cardinals at the plate. 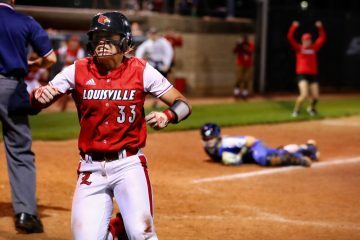 The Cards tallied six stolen bases in the contest with Butler registering career-high three stolen bases, Ferguson had two and Melton swiped her team-best 15th of the season. 5 p.m. at Ulmer Stadium.